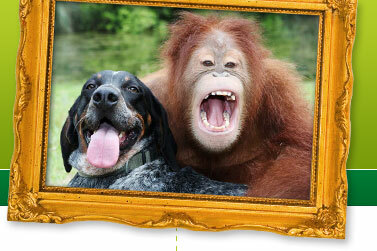 Contact - Suryia and Roscoe - the incredible friendship between an orangutan and a hound! If you want to order prints, fill out the form below and we will contact you. You can also call us at 843-997-3584. If you would like to get in touch with us please complete the short form below. We always love to hear your thoughts on the website. Visit Suryia and Roscoe at T.I.G.E.R.S Preservation Station, Myrtle Beach, SC. Suryia and Roscoe support the Rare Species Fund. Suryia and Roscoe announce the release of their new book. 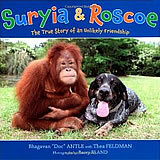 Get your copy of "Suryia & Roscoe – The True Story of an Unlikely Friendship" signed by Doc Antle of the T.I.G.E.R.S. Preserve. All proceeds help to support wild orangutan conservation in Borneo. Order yours now!